How should I repair and complete this quilt top? My Mother-in-law gave this to me over the weekend, and I think it’s adorable! 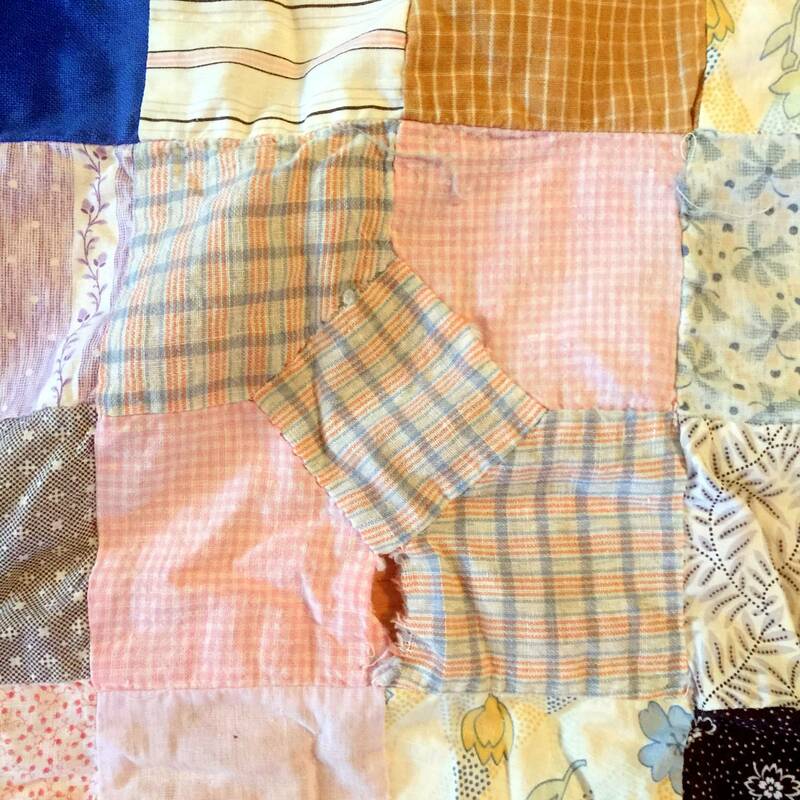 It’s a mix of machine- an hand-pieced blocks from the 1930s, and she found it at an auction probably 20 years ago. A few spots on the blocks need to be re-stitched. 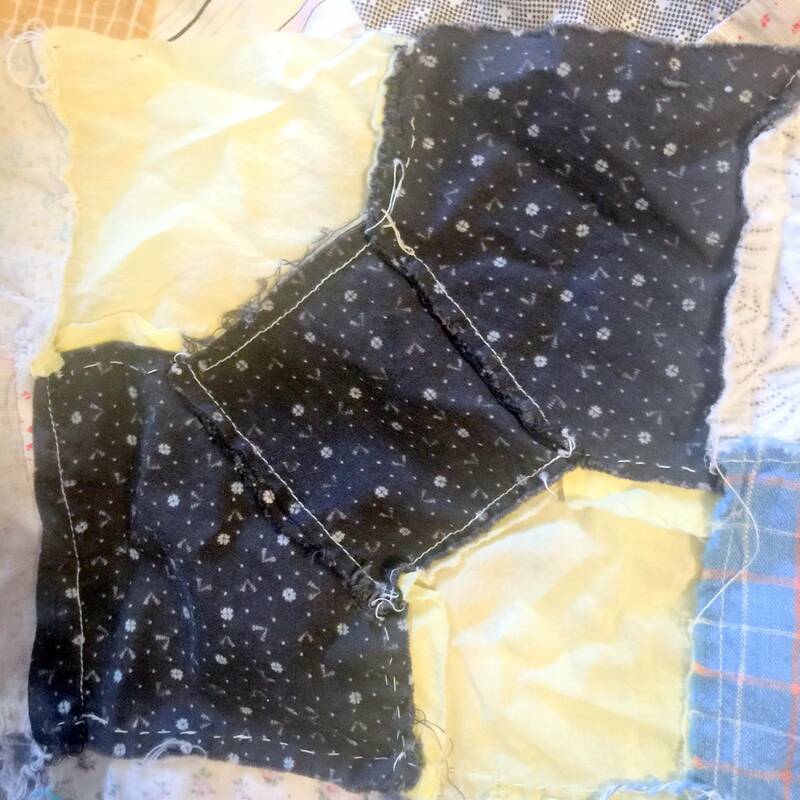 My plan: Stitch up some of the holes, wash it, iron, and finish quilting it. I will probably keep it on my quilt ladder on display, or on a guest bed (someday – I don’t have a guest bedroom in my house right now), because it’s approx. 6’x6′. 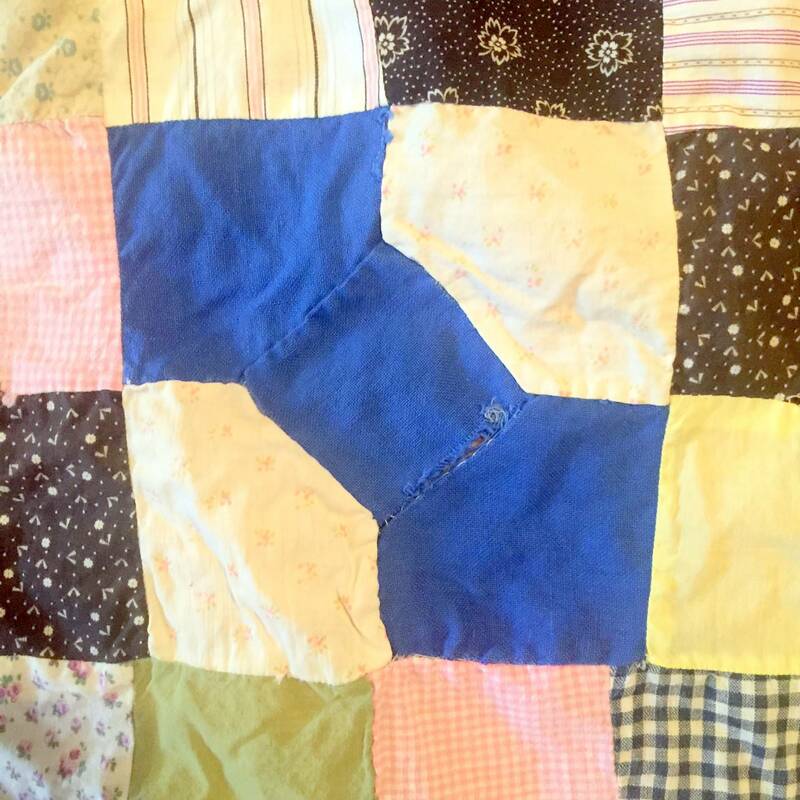 Quilts are meant to be used, so I want it to be “usable” (even if I’m just displaying it). I think that would mean quilting and finishing it. OR maybe I could just add a backing, no batting, just to contain the fraying edges and display it that way? With knot quilting or a few hand stitches? I’ll definitely repair the holes and wash it, but then what? I wish I knew what to tell you! It IS beautiful, good find Mom!! 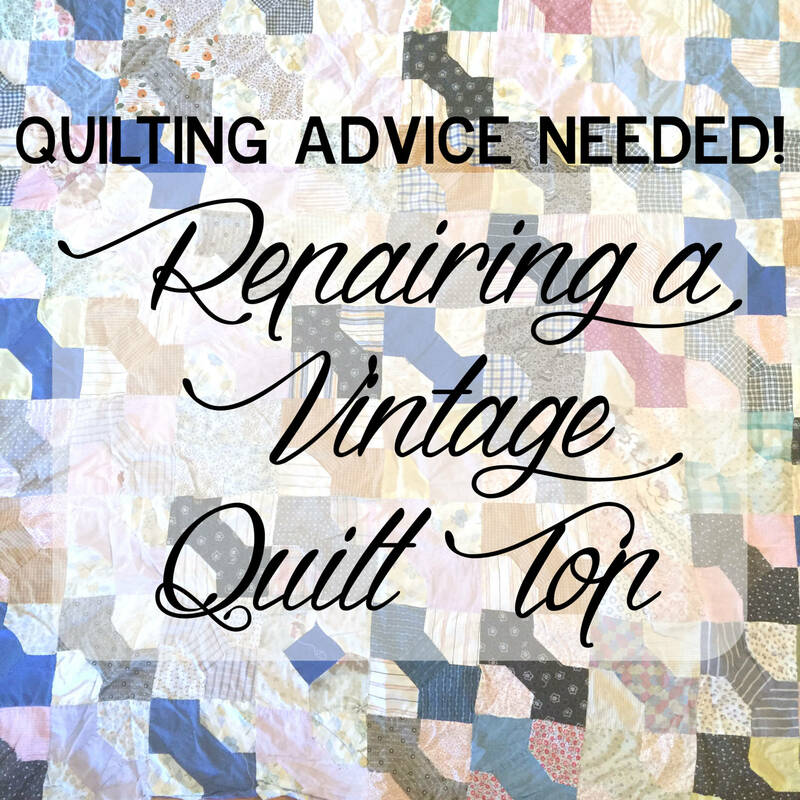 I longarm for others and have found a niche repairing and quilting vintage quilts. 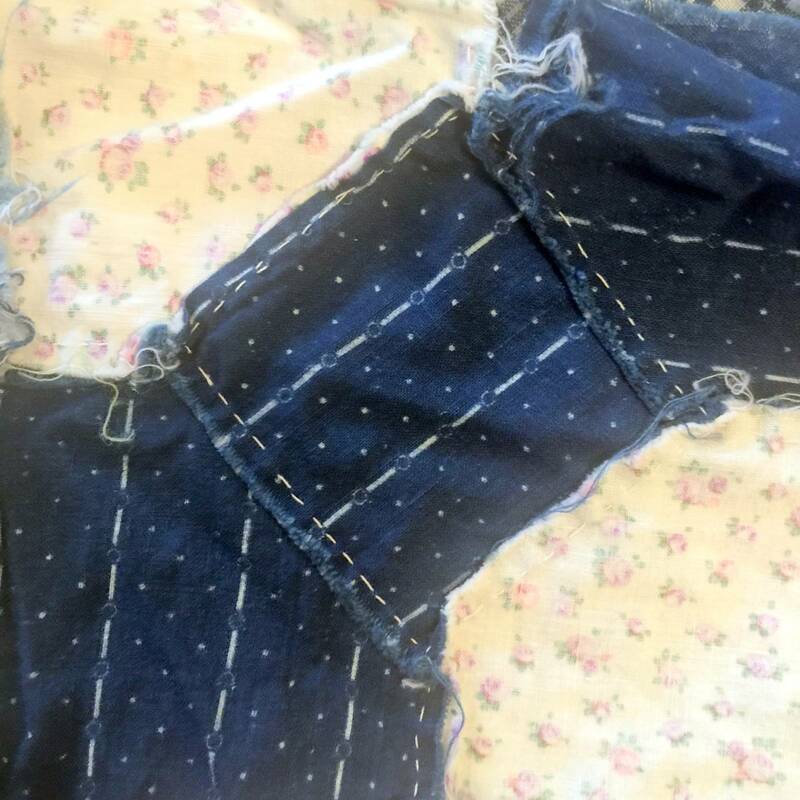 I usually use a ladder stitch to repair the seams that have opened up. If the seam is a little ravelled, I try to gently pull fabric pieces a bit closer and ladder stitch. For the bigger repairs, fusible tricot to back side of fabric or applique a new piece of fabric on top. All the repairs that I have done have held up nicely after quilting. Good luck! Thank you, Judy! That’s so helpful! 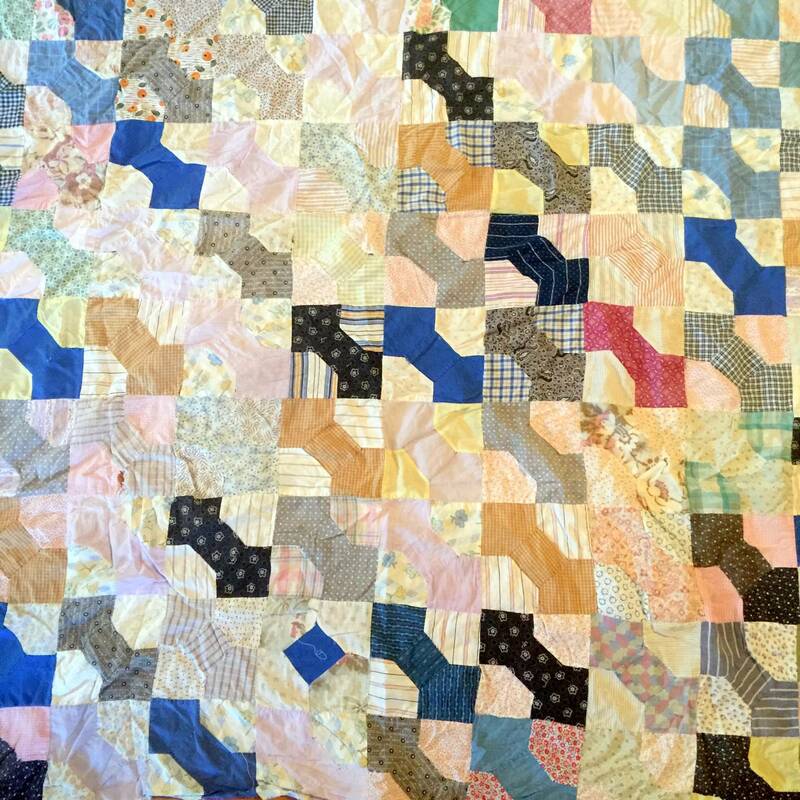 I also longarm and have done a few vintage quilts. They can be fragile before they are quilted so I wouldn’t recommend washing it before you have repaired it as best as possible, quilted and bound it. 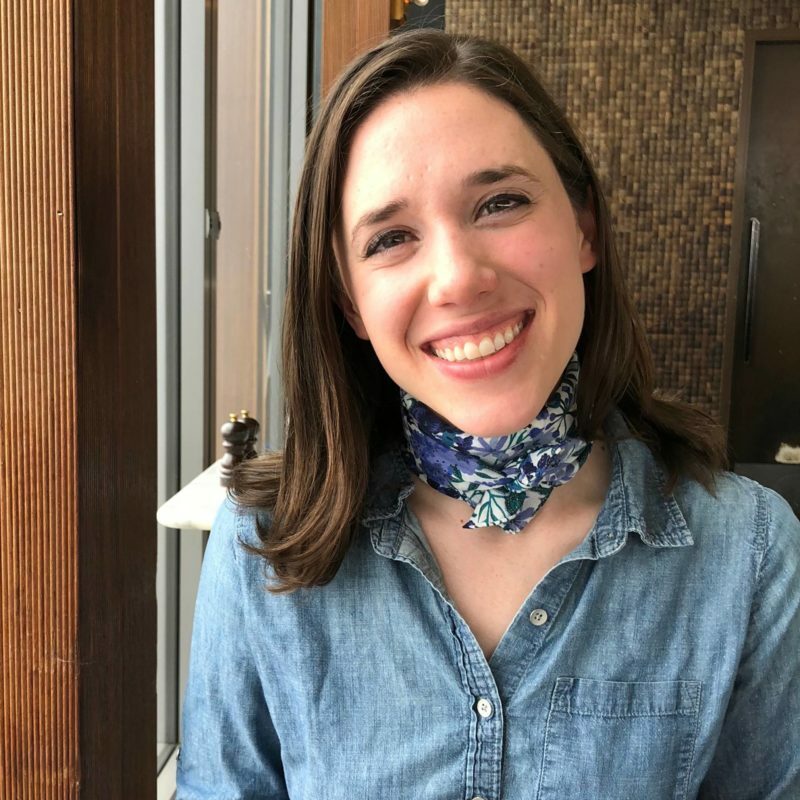 Thanks, Tess! I ended up washing it first, because it smelled so musty :/ It was making me sneeze! It held up well though, so I’m looking forward to repairing it and posting the finished result soon! !